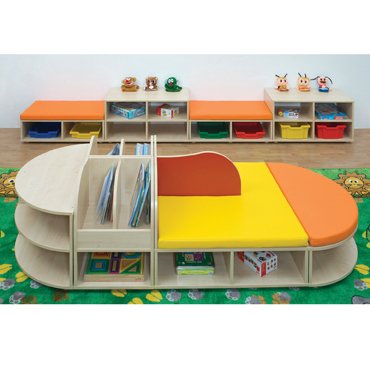 This colourful Reading Nook range of seating and storage units will help you transform any classroom. 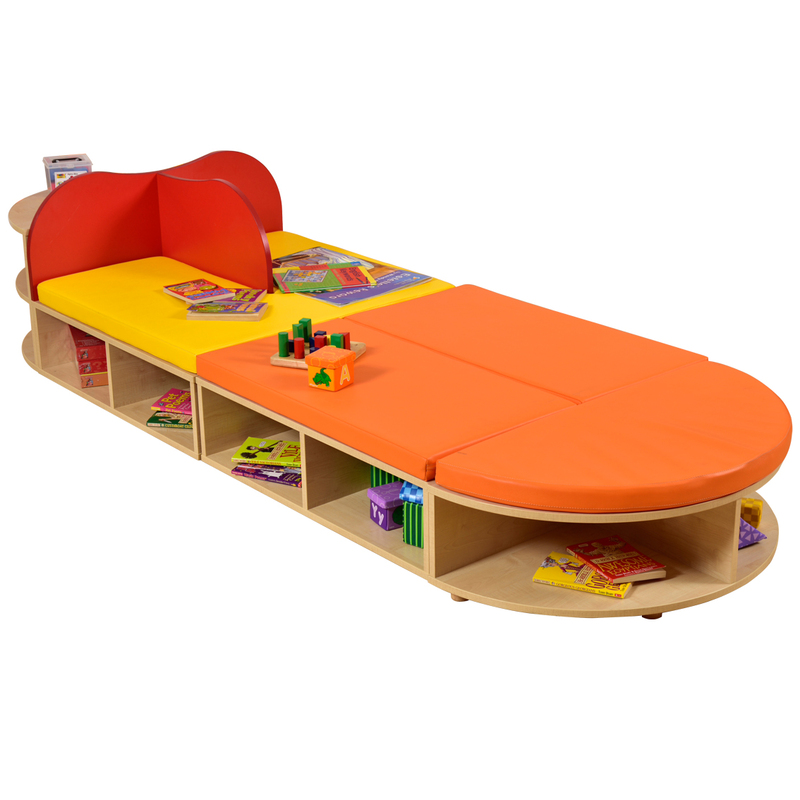 The units are versatile and modular allowing you to create a unique children’s reading area. The units can be moved around and paired together in various ways to adapt to the layout that best suits your space. 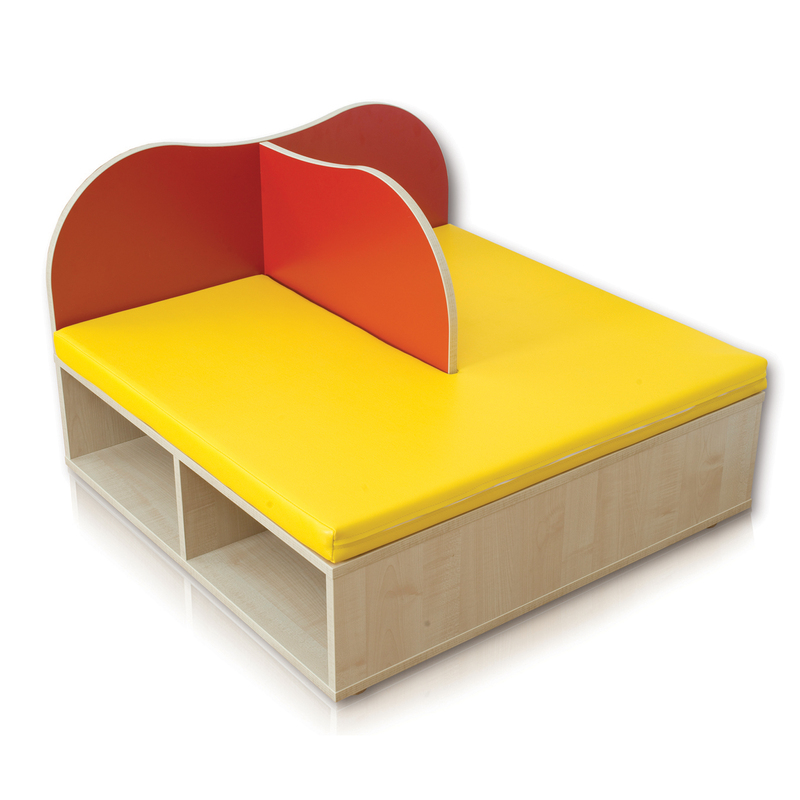 Adding a vibrant bit of colour and providing a comfortable safe area for children to sit and read, it is a must have for any reading corner. 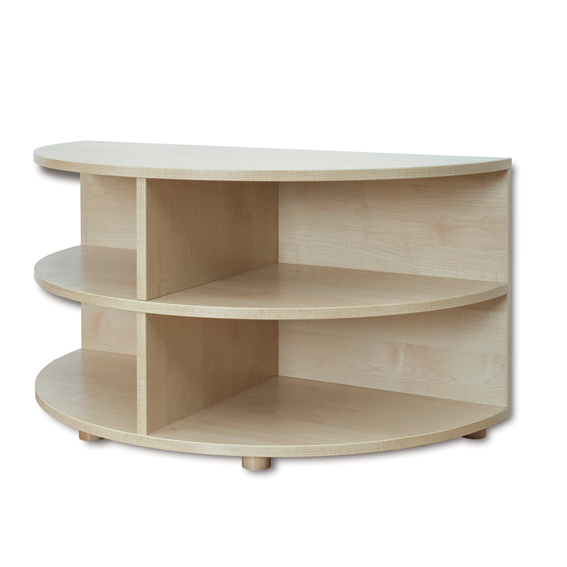 Manufactured from 18mm melamine faced maple particle board. 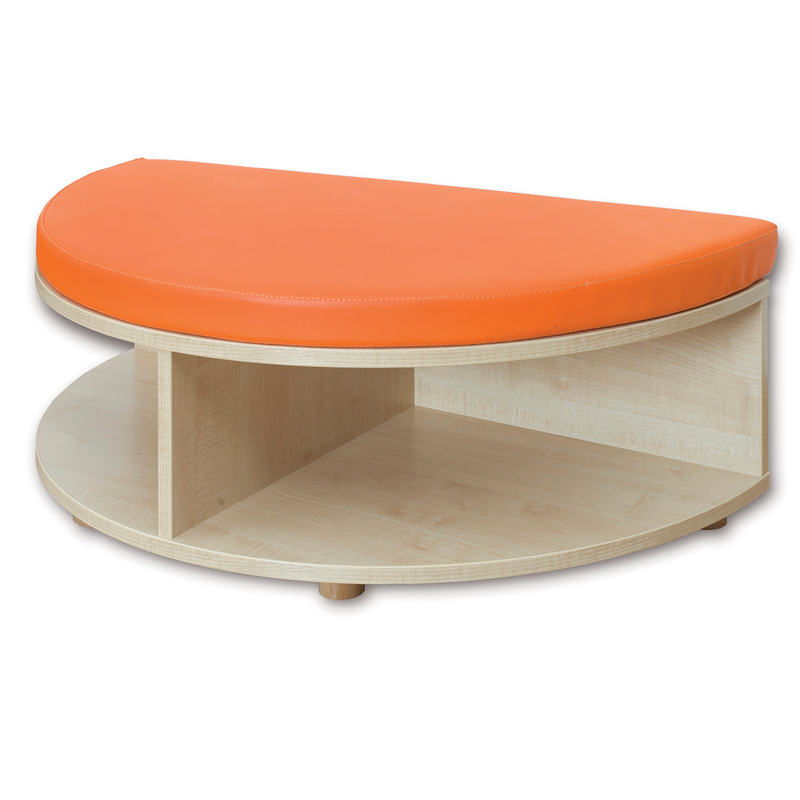 Each unit has 30mm wooden feet.PVC and foam seating supplied with units – safe and easily wiped clean. 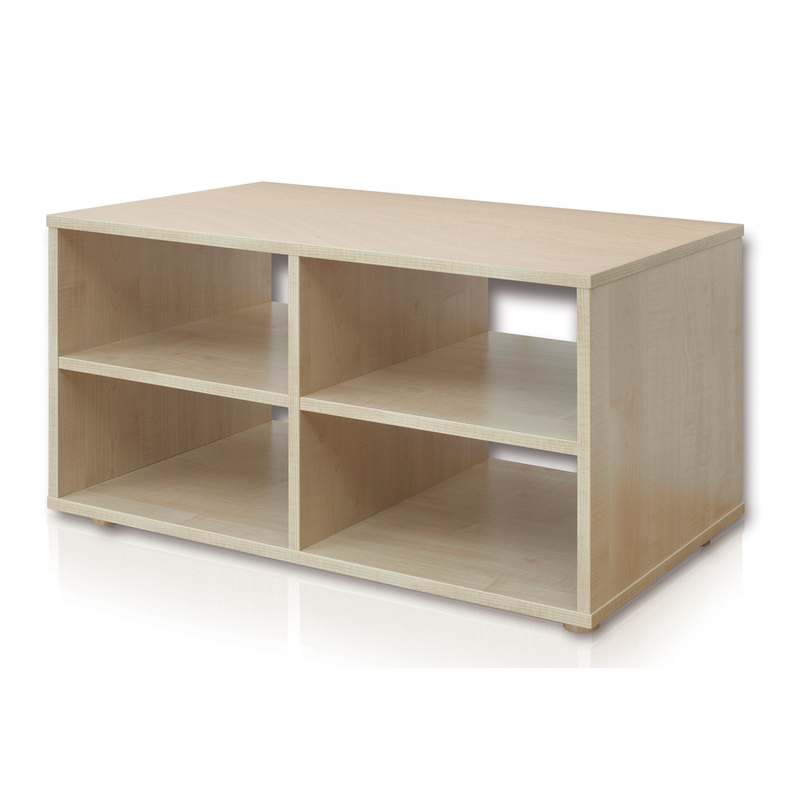 Units can be used stand alone or as part of a set (unit heights include 30mm for wood feet). Storage shelves fit Gratnell F2 trays and smaller.